Dutch club Utrecht are taking Swansea City to the Court of Arbitration for Sport over the transfer of Michel Vorm from the Welsh club to Tottenham. 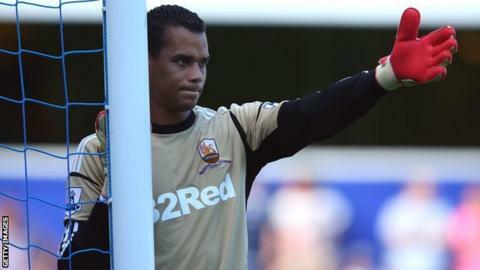 Utrecht say they are owed a sell-on fee for the goalkeeper they sold to Swansea for £1.5m in 2011. The 32-year-old Dutchman joined Spurs in 2014 in a deal which Swansea say was a free transfer to White Hart Lane. A hearing is to be held on 29 January and Swansea boss Garry Monk has said he is confident of avoiding sanctions. When Vorm joined Tottenham, Wales defender Ben Davies also joined Spurs in a £10m swap involving midfielder Gylfi Sigurdsson - a deal Swansea say was separate to Vorm's transfer. The Eredivisie club have already had their case dismissed by world football's governing body Fifa.